Previous: VIDEO:Shyne – Spartacus ft 9ice & Smoothy. 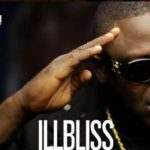 Dat Ibo Boy Illbliss proclaims his is the ‘Oga Boss’ on his sopohmore release, although he has not being fully active as a recording artiste Mr Tobechukwu Melvin Ejiofo is a key player in the Nigerian rap circuit. Promoted with the ‘Position of Power’ EP and the hit single ‘Anamachi Kwanu’ which was released as the project’s lead single, ‘Oga Boss’ packs the punch placing the ‘Ruler’ in the forefront once again backed by a little too much high profile artistes and producers, nonetheless what cuts on the commendable LP will be getting serious spins? Intro: Moody and approximately 20 seconds in length; entirely sung in Ibo by a stellar female vocalist raining praises on Illbliss. Illyminate (feat. Suspect): The LP officially opens with the hard banging ‘Illyminate’ which features the producer of the ill Hip Hop number. Illbliss sets the pace with his dreadful edgy bars teasing you yet ensuring that you play every track on the 15 track package. Simply said, it is too ill to let slide. Anamachi Kwanu (feat. Pyhno): Someone should call the fire brigade, Illbliss and Pyhno just set the building ablaze with arson. Epic punch-lines et al, wonder why it is already a street anthem? My Heart Beats (feat. 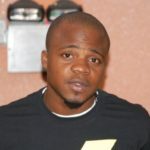 Banky W & Silvastone): Love is in the air as Illbliss’ heart beats. E.M.E boss ‘Banky W’ lends a helping hand and they both glide on the pop-influenced Slivastone produced cut. Graduate (feat. Wizboyy): High life’s golden boy ‘Wizboyy’ steps in to spice things up in ‘Graudate’ with his vocals and production abilities, undoubtedly the high life number will find home in any bear parlour as well as causing in a frenzy in the east. Currency Boyz (feat. 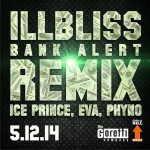 Ice Prince): UnsurprisinglyCurrency Boyz has a guest artiste; this time around Mr Illbliss travelled down to Chocolate City and recruited the Prince for the Suspect produced track. 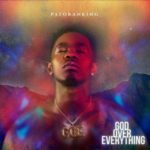 Engaging rap verses and a catchy hook; when summed up, it is safe to say they are spending the right currency. I Am Sorry (feat. Chidinma): Illbliss and the Project Fame winning belter brag about spending reckless on a top-notch Legendury beat majorly made up of electric guitar played in short chords, electric piano and drums. There is an undeniable chemistry between the pair; as they take the hook together complimenting each other, while oozing sass and swag not-forgetting street credibility. Expect to find Chidinma in her ‘Emi Ni Baller’ mode. 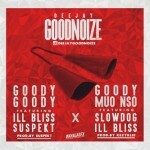 Gidigba (feat. Del B): The mid-tempo R&B cut is produced by hit-maker Del B; who also impressively shows off his singing skills on ‘Gidigba’ as he sings emotively; “My baby dey, Gidigba, so whatever it takes…” The tenor even brilliantly backs up Illbliss in certain parts who comes in with his bars prophesising his love for his own Michelle Obama. Naalu Ekene (feat. Storm Rex): Enugu State born vocal beast and diva ‘Storm Rex’ takes the centre stage on ‘Naalu Ekene’. A beautiful song which will stir emotions deep down while showcasing Phyno as a genius producer and Illbliss’ softer and appreciative side as he thanks Father Lord for life, blessings, wisdoms and shouts out his close late friend Mc Loph. Double Double (feat. 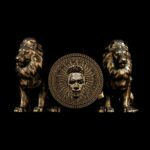 Timaya): At the tenth track, there is no solo track by Illbliss and it does not change anytime soon as Timaya that surfaces on the fan favourite ‘Double Double‘. The laid back track is produced by Phyno. Emi Ni Baller (with Suspect & Chidinma): Legendury Beatz again and its ‘Emi Ni Baller’. 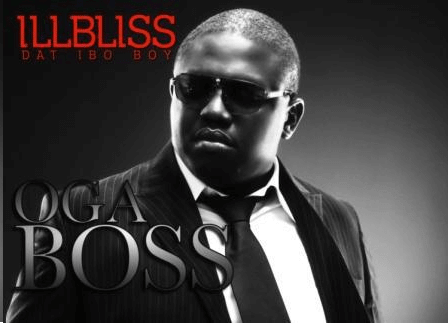 Originally released as a single off Chidinma’s unreleased sopohmore album now fans of Illbliss are treated as the banging cut can be found in ‘Oga Boss’. When fired on your speakers you will realize that the high octane song is still about the battered Bragging Rights. I’m Going In: Sounds like something your will find in Lil’ Wayne or Drake’s discography yet Illbliss makes the memorable Wazbeat production his own. Hustlers Footsteps (feat. Naeto C & Phyno): Ever doubted there is power in numbers, the three Ibo boys proves that fact once again. Produced by Phyno, the pack serves a hot rap joint. 2Hands: Another classic hip hop instrumentation by XYZ, classic rap bars by Illbliss. Oga Boss channels his inner Mode 9 on the curtain call.